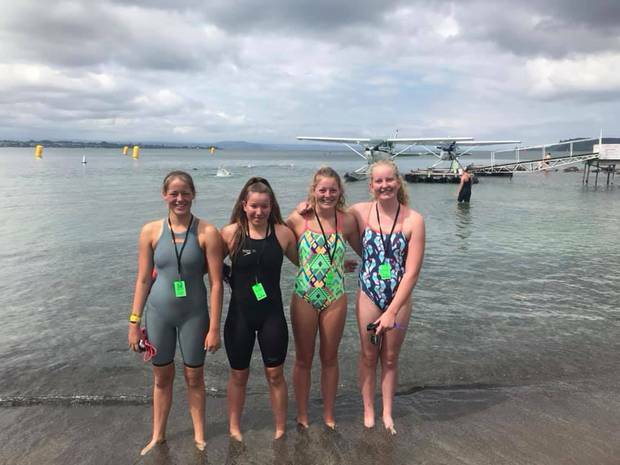 Swim Rotorua athletes started the season strongly at the Swimming New Zealand Open Water Championships at Lake Taupō. The event last weekend was combined with the Epic Swim Series and attracted record numbers of swimmers looking to claim national titles. 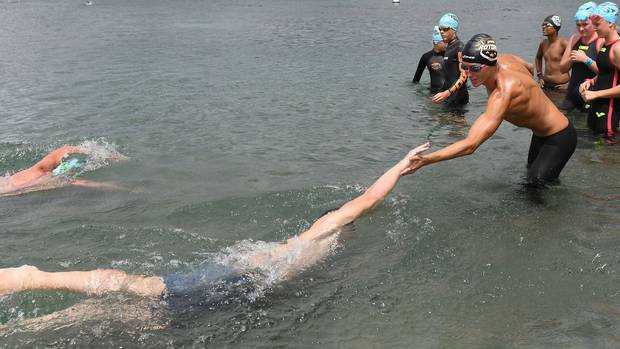 Rotorua's open water specialist David Boles, who won two bronze medals at last year's Oceania Championships, was aiming to get his hands on the coveted 10km title on day one. He and Matamata rival Solomon Wright went stroke for stroke for the first 9km. During the last 1000m, Wright managed to pull away, but Boles dug in deep to take the silver medal with a solid time of 2h 3m and 36 seconds. On day two, Boles picked up his second silver medal, this time in the 5km race. He was able to hold off three rivals in a mad dash across the final 100m. In the inaugural men's open 4x1km relay race, Boles teamed up with Damon Cowie, James Baldwin and Lewis Ryan to take the gold medal and be crowned New Zealand champions. Cowie also had a crack at the tough 5km race where his time of 1h 5m 51s was enough for ninth. Emily Spear showed great determination in her two individual races. She has worked on her technique and endurance during the past four months, and it showed. In the 10km race, she was in the second pack for most of the race and held her own to place fourth in New Zealand and second in the 15-17 years age group. In the 5km race, Spear showed off her new-found speed to take third place overall, and second in her age group. In the girls' 16 years and younger 4x1km relay, Spear teamed up with Annelyse Cowie, Jasmine Hagan and Molly Sinclair to take the gold medal in a great time of 47m 27s. Sinclair showed plenty of grit to take 14th place in the girls' 15-17 years 2.5km race with a time of 40m 44s.